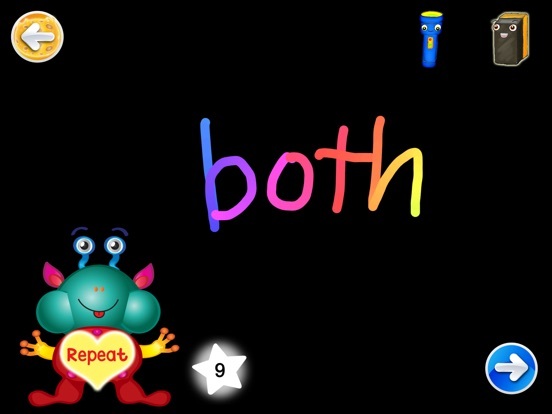 Word Space Lite (Multi-User) is a flashcard game (with a feature to make your own flashcards) that helps children practice reading and spelling words. This is a great app for kindergarten through 3rd grade children. 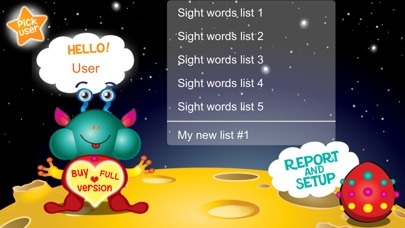 This app includes a combination of high frequency and sight words (from the Dolch Sight Word list). The list of 50 words was selected to cover words that a child encounters most often when learning to read (high frequency), including words that cannot be learned using pictures (sight words). **In full version, all of the 255 words are included. Learning to recognize and spell these words adds to a strong foundation in reading and spelling for beginning readers. 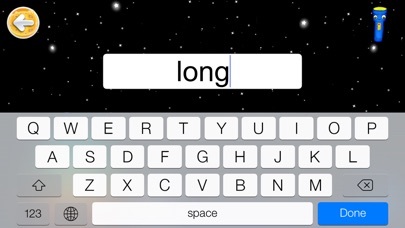 Word Space Lite (Multi-User) provides the features to read the word aloud for children, play word quiz, spell or write words, as well as record your kid's voice while reading words. This app also includes the progress report (play history) for teachers and parents to see how well the children learn and read the words. 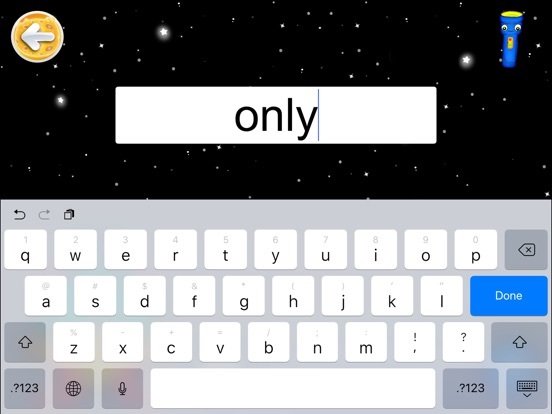 The additional setup options allow you to create a new word list (**In full version, you can add up to 30 lists and up to 300 words in each list) or customize word list, set up timer or the difficulty of the game to match your child (i.e, showing words when kids need help). **Plus, this game allows multiple users, so parent or teacher can add more than one user (**In full version, you can add up to 30 users) to keep track of your child's progress individually. 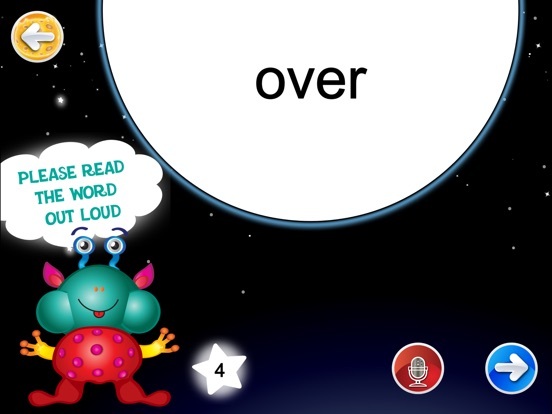 This game will help your child improve their reading and spelling skills in a fun and interactive environment. **All words have been recorded by professional voice talent and support Text-to-Speech.